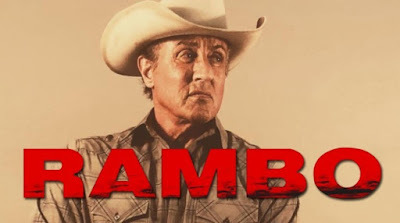 The news updates have been strong with the upcoming final installment to the Rambo film series. Started in the '80s as a movie about the effects of post-war PTSD, the character of John Rambo has seen tons of action. Now with final casting underway and Stallone back in peak physical condition, the movie is gearing up for production and has finally received an official title. Tonight, it was announced that this fifth and last entry in the series will be called Rambo 5: Last Blood. While we sure would like to continue watching Stallone in action epics, he's definitely getting up there in age and wouldn't be able to carry on much longer as the title character. Now, we wonder if they just might kill him off to close out the series as was initially intended in First Blood. So there we have it. Last Blood it is.